It was summer 2004 and the Metropolitan Police had a man in custody who they believed could be behind one of the biggest terrorism plots seen in the UK. But to keep holding Dhiren Barot, officers needed more evidence. They had reams of documents detailing Barot's plans to plant limousines filled with gas cylinders in underground car parks across central London - but could not prove Barot had written them. Linguistics expert Dr Tim Grant then received a phone call. "They said it was very urgent and asked if I could come down that day," he said. "They sent a car and we were taken with blue lights down the motorway to London." Along with several fellow experts Dr Grant spent 36 hours sifting through the documents, comparing them to other pieces Barot was known to have written. They were using forensic linguistics - comparing consistent spelling and grammatical mistakes - to see if it was likely Barot had written the other papers. "That evidence contributed to the decision to charge him," said Dr Grant. 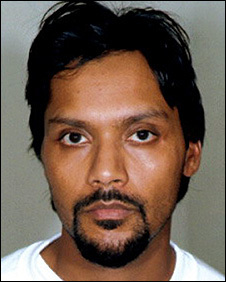 Barot pleaded guilty in 2006 to conspiracy to murder and was sentenced to at least 40 years in jail. Police had reams of documents detailing Barot's terror plans. Dr Grant is one of several experts who make up the new forensic linguistics centre at Birmingham's Aston University, set up to cope with the increasing demand for such skills. 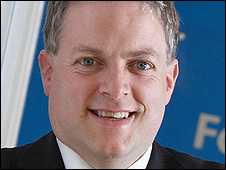 As well as analysing evidence in criminal cases, the department is used for all sorts of investigations - such as helping companies identify the authors of abusive e-mails. And the work is constantly changing to cope with evolving ways in which people communicate with each other. Along with e-mails, text messages and other written evidence the experts are now looking at increasing evidence from instant messaging and social networking sites such as Facebook and MySpace. The printed word - even the examples deleted from computers - has the advantage of lasting longer than fingerprints. However, unlike fingerprints, the writing styles tend not to be as personal to someone. "It's like giving a description of someone who has red hair and blue eyes," said Dr Grant. "That's something quite unusual and can help you build a picture of the suspect, but it's not enough to convict someone on." The centre also runs training for police officers from across the UK to show the resources available to its investigations. But the headline-hitting work remains the involvement the centre's experts have in high-profile cases, including revealing there had been a miscarriage of justice in the Carl Bridgewater murder case from September 1978. Malcolm Coulthard, now professor at the Aston centre, was asked to analyse a written statement allegedly made by suspect Vincent Hickey. That statement seemed to implicate another suspect Patrick Molloy, who then confessed to the murder. That confession was crucial to the case. Close examination showed many words - even whole sentences - in Mr Hickey's statement were identical to the language used by police officers in their account of his interview. Professor Coulthard concluded the statement was likely to have been fabricated by police. That evidence helped to clear the names of the four men jailed for the murder of the West Midlands paperboy. 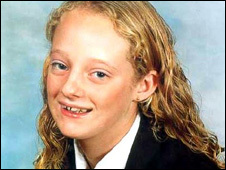 A text message helped solve the murder of Danielle Jones, the 15-year-old schoolgirl who disappeared in June 2001. Her uncle Stuart Campbell was put on trial for her abduction and murder. As part of his alibi, the defence showed two text messages he claimed Danielle sent after she disappeared. Analysis by Professor Coulthard highlighted differences in the spelling of words before and after Danielle's disappearance, particularly the word "what". He found that in one of the messages sent after she went missing it was spelt "wot", whereas her usual spelling before her disappearance was "wat". Mr Campbell was found guilty of her murder in 2002. Essex Police said it was now extending the use of word forensics for everything from "murders and rapes to road crashes and missing people". The expertise is even being used to track down cheating students. Software set up by a research associate at Aston is now employed by universities admissions organisation Ucas to look at 500,000 applications each year. David Wools's CopyCatch programme tests the students' writing style is unique throughout their personal statements - and that their "own work" does not match up too precisely with texts found across the internet. Mr Woolls said that in one year alone the software rang alarm bells over many students' applications to study medicine. Further analysis revealed 234 remarkably similar stories about how their passion for the subject was ignited. He said: "It was generally along the lines of, 'When I was eight, I set fire to my pyjamas while using my chemistry set, I was rushed to A&E and that's when I knew I wanted to study medicine. "It turned out it came from a website just showing this as an example of the sort of statement they were looking for, but many decided to copy it." However, Mr Woolls said the numbers of students plagiarising was dropping as word got out about detection devices like his - and there is evidence criminals are also getting more savvy. "As fingerprinting evidence became more widespread, more people would start wearing gloves," said Dr Grant. "Now we find people trying to cover their tracks too. "We even find cases where someone's tried to throw the system by writing like someone else - but people are usually quite bad at it. "That's what the Danielle Jones case showed - and we've seen supposed suicide notes actually written by the person's killer where they've tried to copy the dead person's spelling mistakes, but failed."